Spellbound booger Santa? Hahaha doesn't sound smoooth. Chilling booger pixie? ROFL happy Halloween and hope you guys are safe! Can anybody say scary sleigh ride? My name is Spiky Curse Mermaid! Happy Halloween Althea! Santa with 8 legs? That'll be frightful indeed! Very awesome indeed! Happy early Halloween! 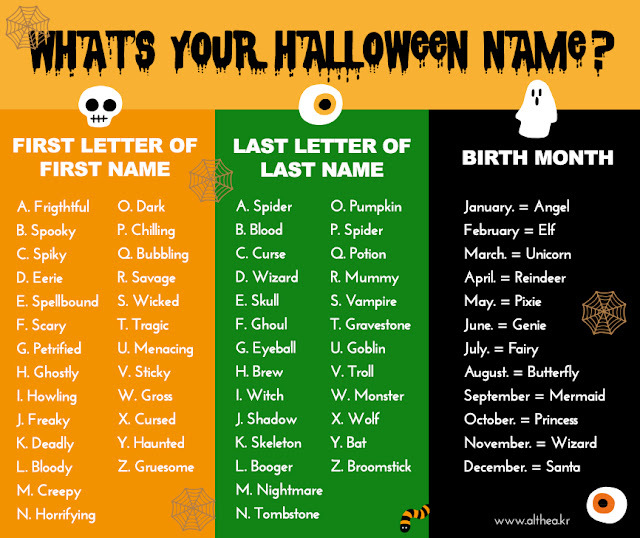 Sounds spellbinding :O Happy early Halloween! Majestically scary :O Dig it! Mine is Howling Witch Mermaid, what a cute name lol! So you pop up from the water at midnight and howl at the moon? Cool! Ooh, such a creepy combination! Happy early Halloween! Bloody brilliant! Happy early Halloween! Hahaha you're scary and beautiful at the same time. What a deadly combination. ;) Happy early Halloween! The scariest potion brewer in all the land!